"The earthquake that hit the northern coast of Japan on March 11, 2011 was recorded at magnitude 9.0. 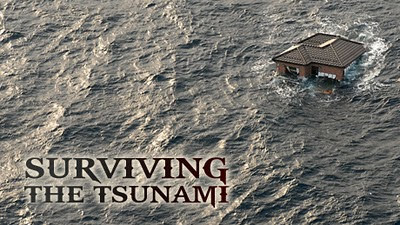 It generated an unprecedented tsunami, obliterating coastal villages and towns in a matter of minutes. In some areas, the tsunami climbed over 100 feet in height and traveled miles inland. Amazingly, amateur and professional photographers captured it all on video, including remarkable tales of human survival, as ordinary citizens became heroes in a drama they never could have imagined. As the waves rush in, a daughter struggles to help her elderly mother ascend their rooftop to safety; a man climbs onto an overpass just as the wave overtakes his car. These never-before-seen stories are captured in video and retold after-the-fact by the survivors who reveal what they were thinking as they made their life-saving decisions. Their stories provide lessons on how we should all act in the face of life-threatening disasters. This unique program was originally produced and broadcast in Japan by NHK, Japan's public broadcaster."